1. The unofficial manufacturing PMI shows that the manufacturing sector is still contracting. HSBC: - The final reading of the HSBC China Manufacturing PMI stabilised at 48.1 in April, up slightly from 48.0 in March, and revised down from an earlier flash reading of 48.3. The latest data implied that domestic demand contracted at a slower pace, but remained sluggish. Meanwhile, both the new export orders and employment sub-indices contracted, and were revised down from the earlier flash readings. These indicate that the manufacturing sector, and the broader economy as a whole, continues to lose momentum. Over the past few days, Beijing has introduced more reform measures which could support growth by inducing more private sector investment. We think bolder actions will be required to ensure the economy regains its momentum. 2. Property price correction is looming and investors are becoming jittery - both domestically and abroad. 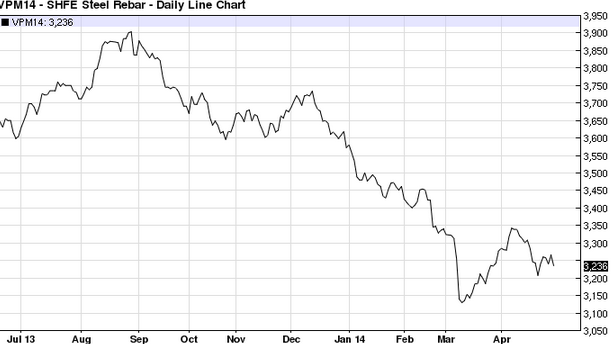 The recent yuan depreciation (see Twitter post) has exacerbated the situation. Concerns over property developers running into financial problems are rising, particularly as credit tightens. Want China Times: - The one-way movement of the renminbi in recent years has boosted yuan-denominated assets and lowered the cost of overseas lending among Chinese real estate investors, with the former attracting the inflow of foreign capital into the country's housing market and the latter making it more convenient for the companies to raise funds overseas. But the sudden depreciation of the yuan has prevented international money inflows into China's housing market and has reduced yuan-denominated house prices. It is hard for real estate developers to raise funds with the rising cost of overseas lending. Therefore, a change in the current financial condition will naturally trigger a cyclical adjustment in housing prices. 3. Related to the issue above, industrial commodity prices in China are still depressed - unable to sustain a recovery after the sharp declines back in March. This does not bode well for industrial demand. 4. 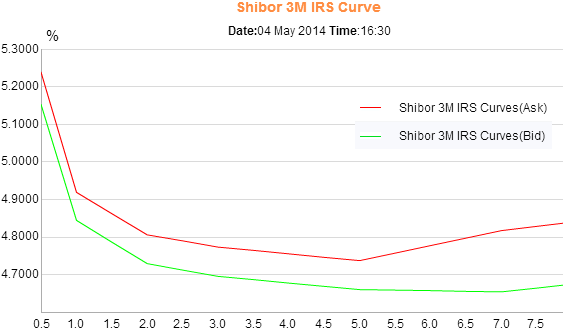 The rate swap curve remains inverted, which is never a good sign. 5. 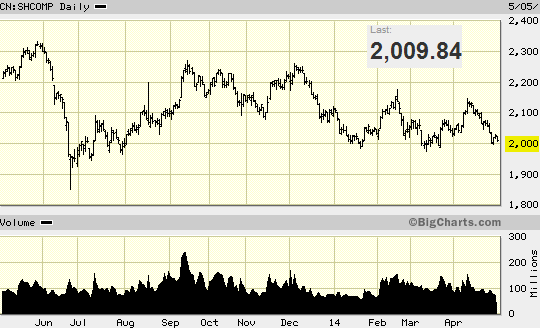 The Shanghai Composite Index is once again toying with the psychologically important 2,000 level. If we move below that level and stay there, concerns over China's economic trajectory will rise further. China's government is pushing through some fiscal stimulus to give the economy a boost. The focus these days is on rail infrastructure investment. China News Service: - China's national railway operator has raised its fixed-assets investment target to more than 800 billion yuan ($127.2 billion) for 2014, which is part of the country's efforts to stabilize growth through infrastructure construction, experts said Saturday.